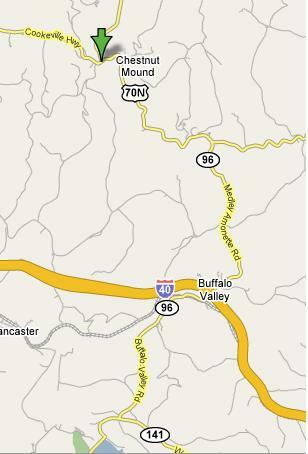 From Carthage (I-40) take TN 53 to US 70N and proceed east on US70N for approximately 9 miles. The church is on the right. 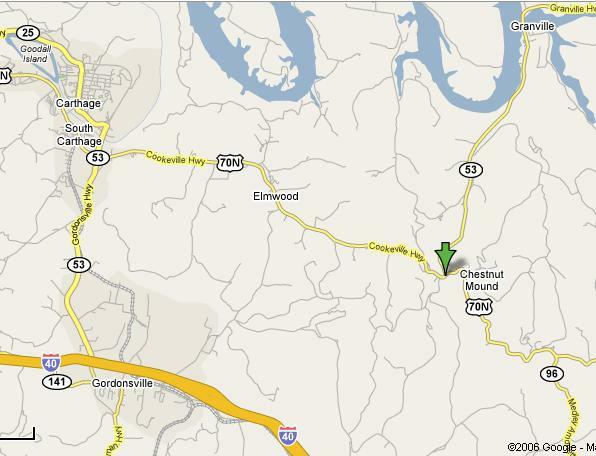 From Granville, proceed due south on TN 53 to US70N. At US 70N turn left and the church is on the right. From Baxter proceed west on US 70N for approximately 14 miles, the church will be on your left.